Description : The material used for this tent is water proof and have fixtures to strongly attach these to the ground. The offered tent is designed by our workforce using optimum quality canvas in accordance with the industry standards. 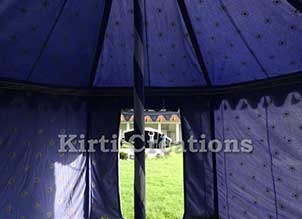 Our provided range of outdoor tent is acknowledged for its weatherproof and long lasting nature.